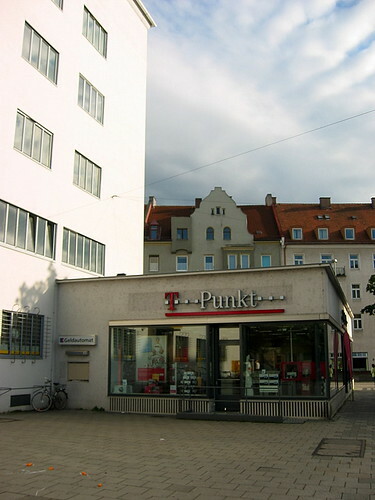 If you’ve ever been to Munich, then chances are very good that you have walked past this building. 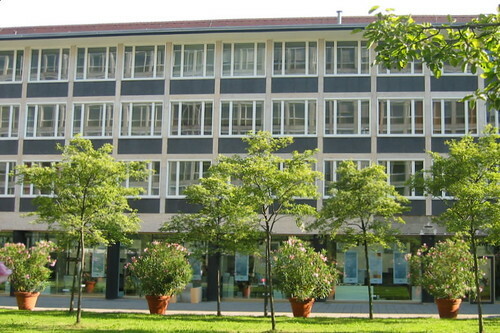 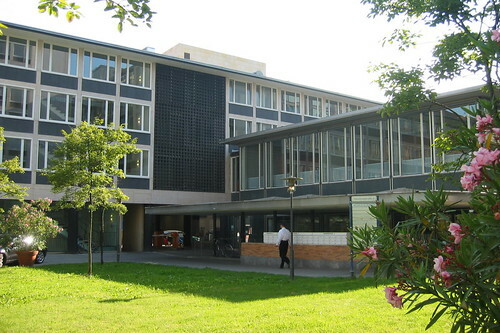 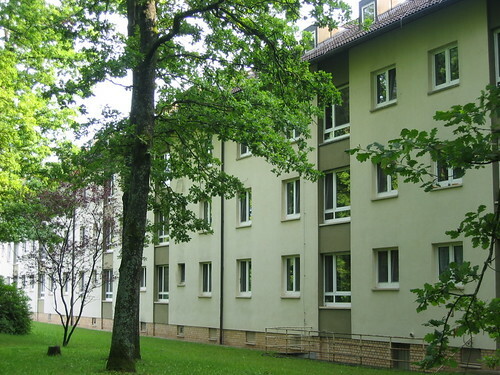 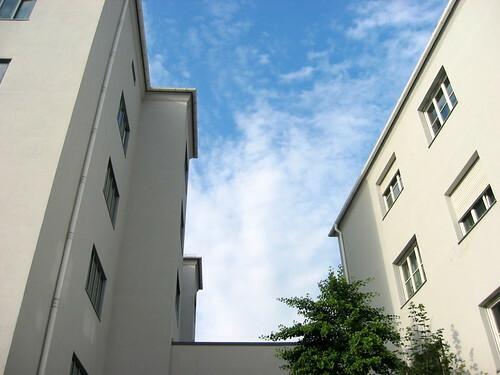 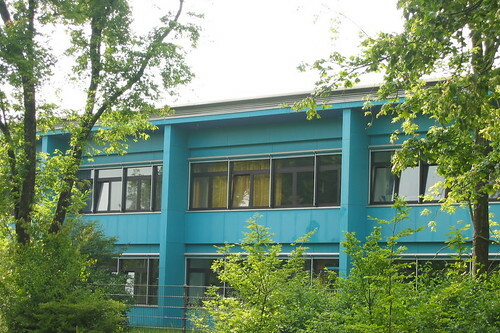 But chances are also very good that you did not pay notice to this building (the right building on the picture below) and would not connect this with Sep Ruf. 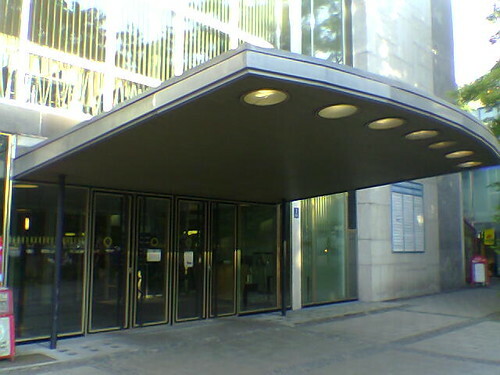 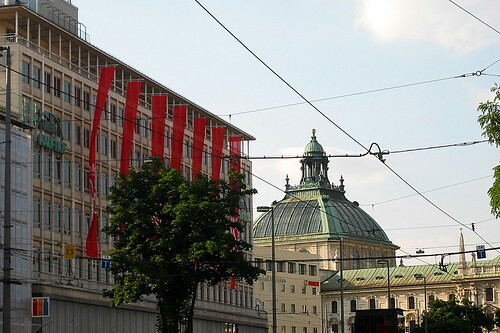 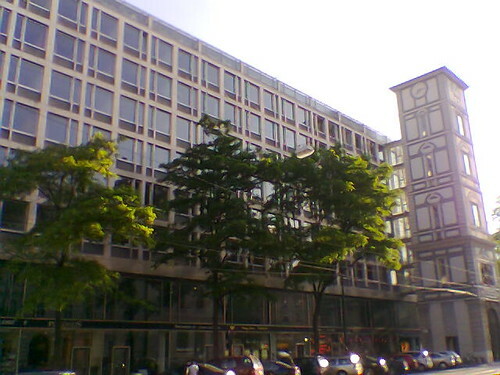 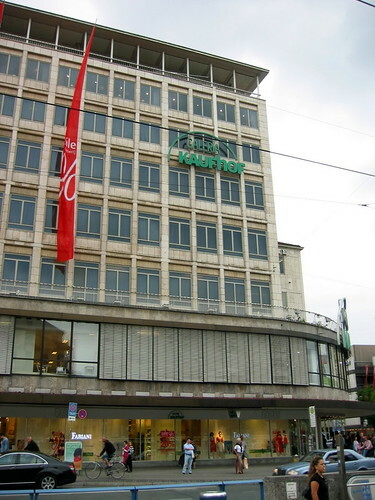 But this department store exactly opposite the Jesuit church St. Michael in Munich’s pedestrian area (“Fußgängerzone”) has been designed by the Bavarian architect 1961-63 and is a major work of the German post-war modernity in Munich. 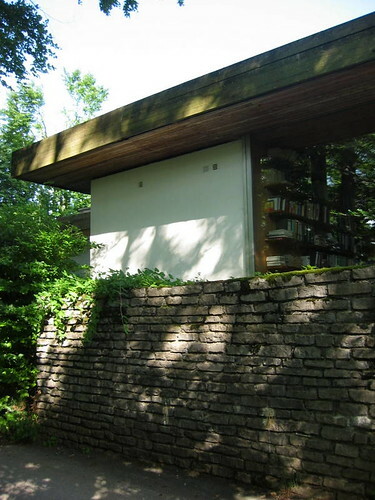 Since 1998 it is under historical preservation protection. 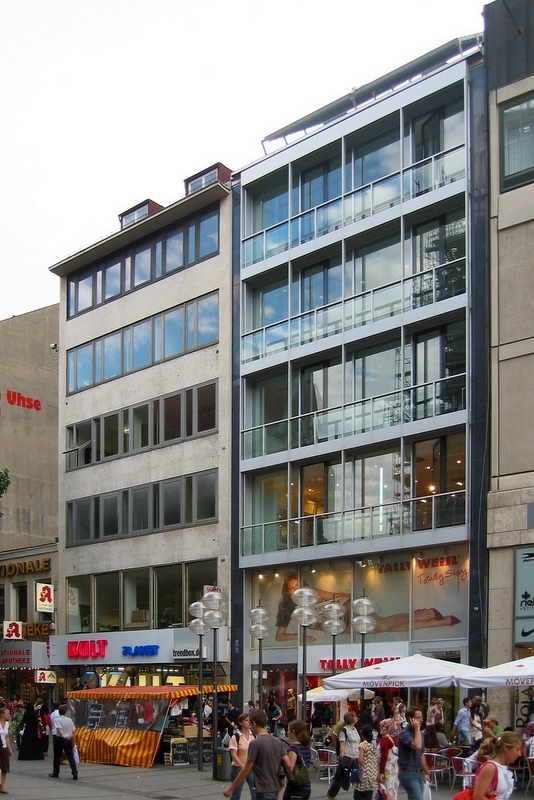 The building is supported by a steel framework, so that the sales floors do not need any supporting pillars. 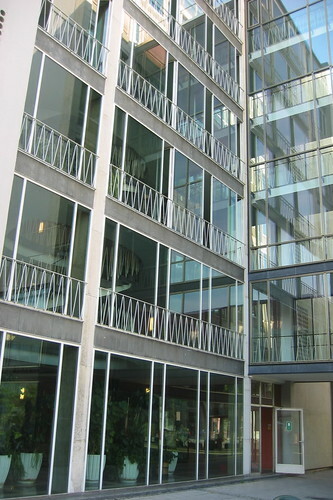 The floors are aligned as split-floors around an atrium crossing the whole building. 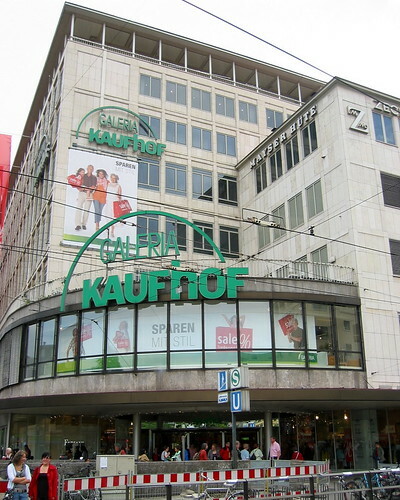 Unfortunately this uncompromisingly modern store has been modified: the roof has been extended, the first floor lost its balcony and the layout of the stairs is no longer in its original state. 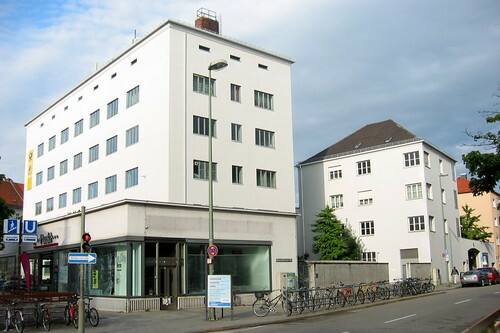 This building by Robert Vorhoelzer and Walther Schmidt (1928/29) is a fine example of the Bavarian “Postbauschule”. 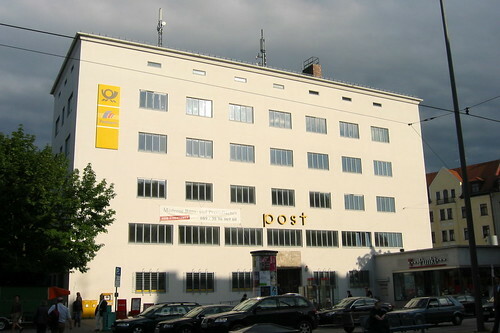 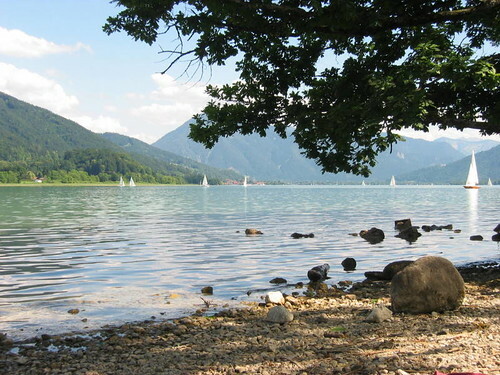 Because of special law regulations, the design and construction of postoffices in Bavaria remained independent even after the creation of the German Reichspost. 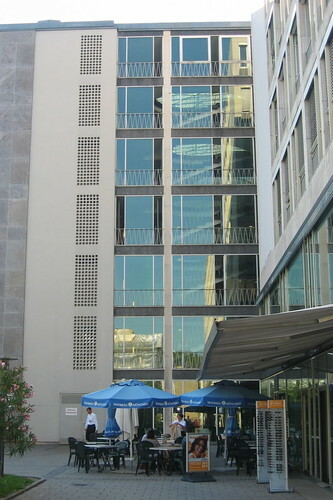 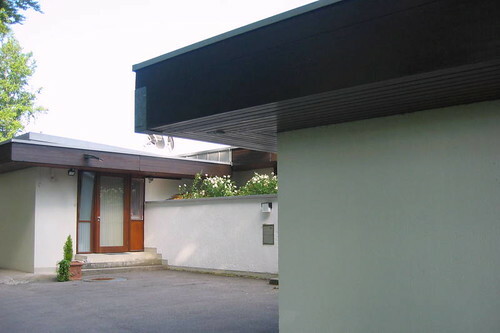 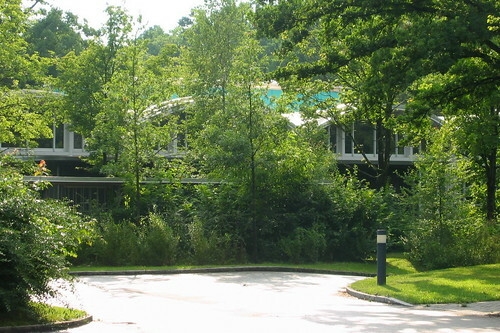 This allowed many architects to build office buildings in the International Style. 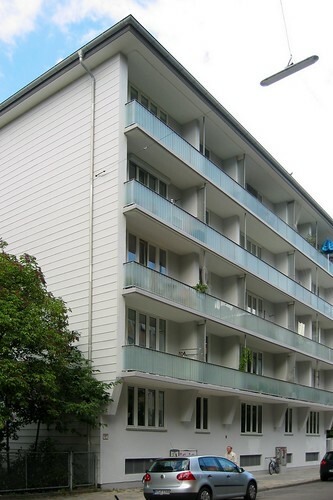 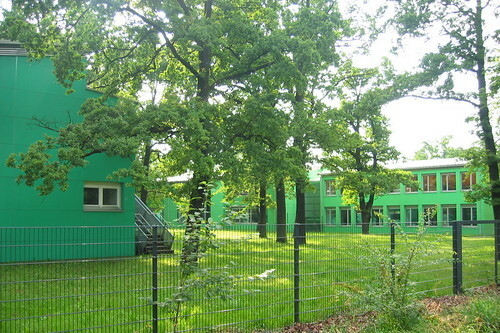 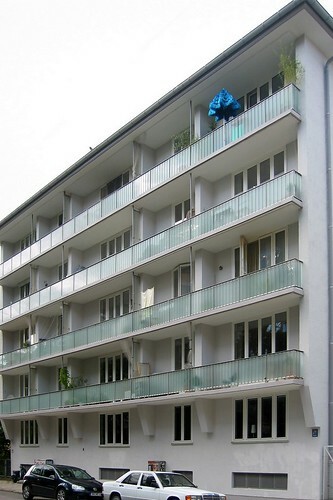 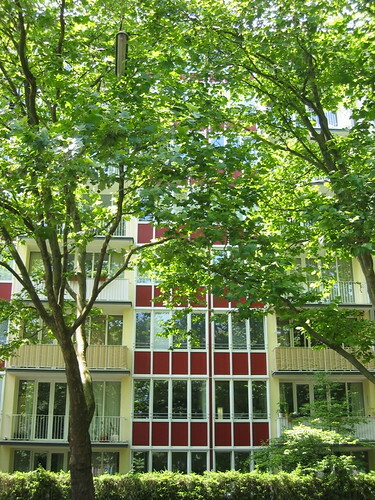 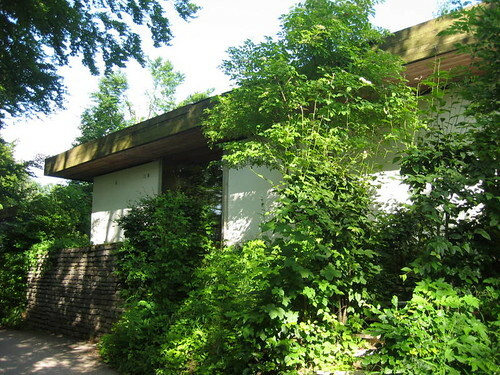 After the Nazis came to power in 1933 this small refuge for architectural modernism vanished.